Congrats to both players for making it to the final five twice in a row. That’s tough, and regardless of what we saw through the edit, I think it speaks volumes about the quality of player they are. While, yes, Aubry seems rigid at times and unable to use emotion as well as she does logic—a classic sign of the scholar archetype—she managed to maneuver to the Merge and make it deep. Her story was about the pursuit of a goal through merely logical and numerical means. 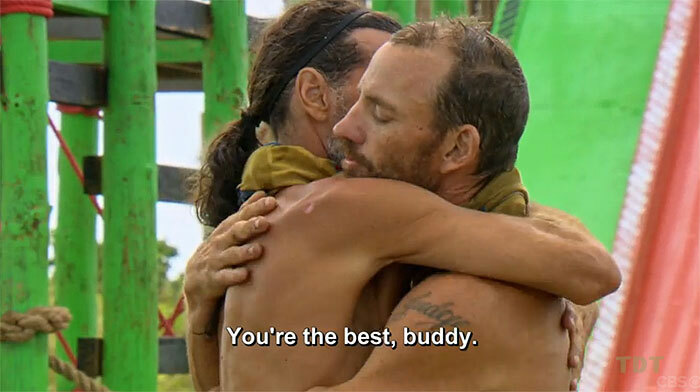 While that’s great, we Survivor faithful know how hard it is to win without a little emotion, a little socializing, and a little just winging it. Please note I’m not saying Aubry is a social pariah or awful to be around—she seems like a lovely gal I’d love to chat with over coffee or drinks about all manner of subjects—but when push comes to shove, Aubry was edited as less than able to just swing for the fences. Maybe she’ll get another shot one day, and if she really learns from her first two tries, this woman could win. Tai was edited as the sneaky, back-stabbing player, the sneak or rogue—someone who will do whatever it takes to suit their own means, doing what they can through subtlety and guile. This edit, to me, is very, very unfair. Tai seemed like a nice guy out there, but when faced with confrontation about his actions, he crumbled. When he admitted trying to be sneaky, everyone then came down on him for being sneaky, seemingly negating their own lies in the process. Everyone lies in Survivor. The fact Tai wasn’t as good at it as others makes him more a saint than a sneak to me, but alas, the edit is as it was. But hey, he found three idols this game and technically used them all properly, holding on to two despite hearing his name several times. That’s some gameplay. Troyzan, much like this season for you, there’s not much to say. I just want to take a moment and mention how Troy, for his closing statement, thanked the other players for the opportunity to play and how much it meant to him to play again and make it to the end. I’m going to be honest, but this was the highlight of the night for me. This man, who fought so hard to even play once, gets to play again, knows he’s losing, and goes out with his head held high. That’s a class act, right there, and if nothing else, it shows he’s matured since One World. You may not have done anything this season, buddy, but your appreciation for the opportunity, even knowing you’re the season’s goat, was awesome to see. Thank you. As for Brad, he fulfilled the prophecy of #WWMD, getting second place against someone he simply could not beat. After starting off so strong, so heroic, he declined into a bully and villain, a hero fallen from grace. I found it especially pertinent when Jury-Tai called out Culpepper, asking if Brad thought Tai was stupid and questioning if Brad understood how he spoke to people. This, juxtaposed with Culpepper manipulating Tai so thoroughly in the second episode in order to boot Caleb further illustrated the decline in his narrative arc. Subtlety to arrogance. To go against Debbie’s argument, I don’t care how much testosterone you have, don’t talk to people like you’re a gift to the human race. Maybe he should’ve stuck with interior decorating. Well, yay, Sarah. Thank you for joining a small, select group of Survivor champions to hold the distinction of showing my confidence was not misplaced. Tom Westman, Todd Herzog, and Bob Crowley welcome you, Sarah Lacina. Congrats. On a more serious note, however, Sarah absolutely earned her title. She managed to be on the right side of virtually every vote (barring the Cirie debacle that I’ll touch on in just a moment), and took two people to the end that she could easily beat. She played with a ruthlessness most Survivor champs can’t claim, and due to her un-heroic attitude paired with some, at times, very heroic and humanizing behavior (her reflection on how Zeke’s outing affected her—I still hate that was meant to be a positive for her—and her FTC moments in which she claimed her ruthlessness is what allows her to literally survive in her profession), makes Sarah a winning antihero. Michaela should take notes…let’s be honest, most of us should. Jeff Pitman has already touched on how Sarah similarly did what Tony did, and still won despite burning bridges. While, yes, Tony has a Trish-sized buffer to help get him to the end, I don’t necessarily think Sarah needed one. This is not because her social game was good enough to offset her betrayals, but because she played the card of being a person no one on the Jury will like so damn well. Whereas Tony had to play knowing he was a major threat, Sarah, despite never having immunity, waltzed to the end without a vote counted against her. Brad and Troy both, in their postgame interview, said they thought Tai—Tai—was a bigger Jury threat than Sarah. If Sarah can play a game that strong and still come off as a goat… wow. I will say I do somewhat disagree overall with Jeff’s comparison of Tony to Sarah. I’m not at all saying it’s inaccurate, but Sarah, to me, just appears so much more Brian-esque. This first really dawned on me when Andrea said a lot of Jury members would feel gross voting for Sarah. When I think of someone I’d feel kind of gross for voting to win a million dollar, it’s Thailand’s Brian. Sarah lied, decimated personal bonds left and right, and at the end, rather than merely owning up to her subterfuge as Tony did—at least on some level when he told Trish everything he did, including swearing on his deceased father’s grave, was worth a million dollars—Sarah continued to use manipulation to get what she wanted. 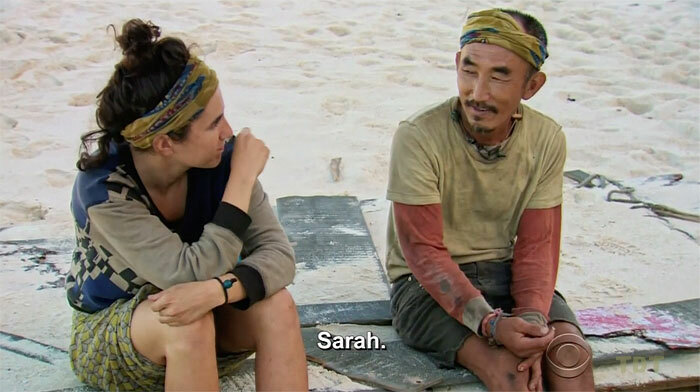 Rereading that sentence, I don’t want anyone to think I’m saying Sarah is a bad person or undeserving; even if I have many thoughts on the skill level (or lack thereof) of this season’s cast, Sarah dominated the field, and she did so without winning challenges (something Brian can’t claim). Is she one of the best of all time? 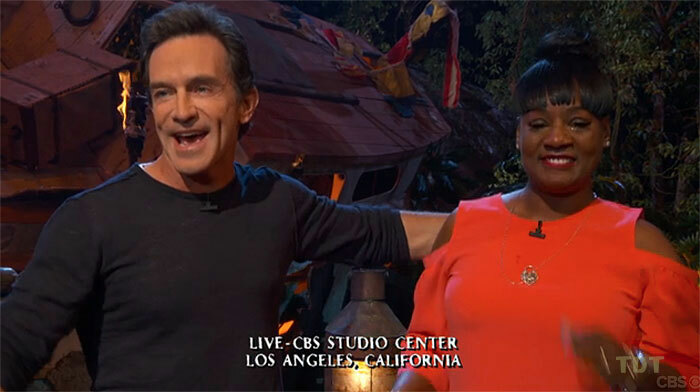 No, I don’t think she is simply due to having a reputation for being perhaps a little too hot-headed and confrontational and—most importantly—that the person who correctly identified her as a threat was ripped from the game without actually getting voted out (RIP Cirie). 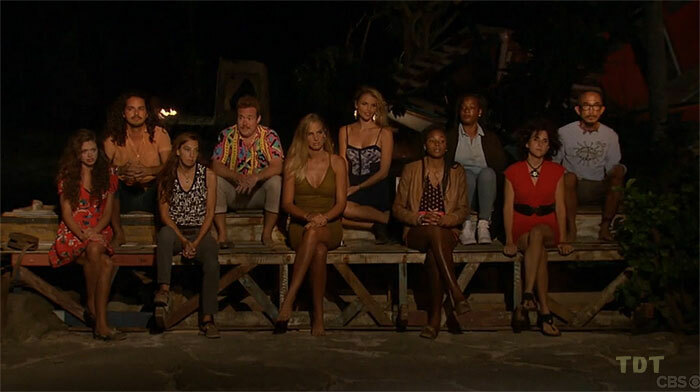 Still, for all of this season’s flaws, for every cringe worthy moment, for simply too many idols, for a few less than stellar twists, for a finale that felt beige to me after Cirie’s exit, for Culpepper making it to the end (albeit with better gameplay than I would’ve thought), Sarah undeniably crushed it. Bravo, Ms. Lacina. Well earned. Has There Even Been a More Tragic Hero? Really, has there been? Let’s ignore the “twist” in Micronesia that likely robbed her of a victory (not that Parvati is anything short of a legend), for the sake of argument, and look at a hypothetical in which there’s no Legacy Advantage. I know Pitman has already touched on the LA being the reason for Cirie’s departure—a statement I agree with, more or less—but it is worth repeating given the likelihood of us ever seeing Cirie again is slim. 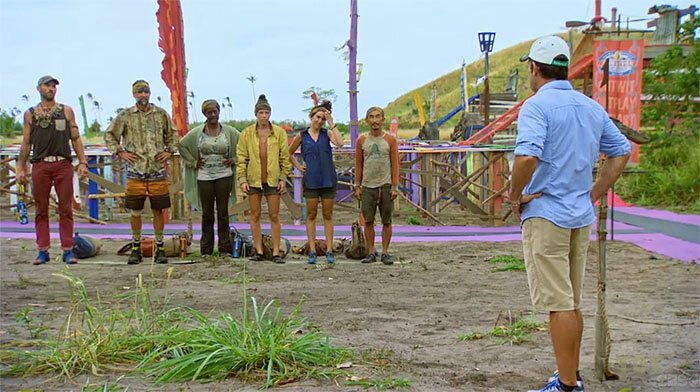 After outing herself as something of a strategic threat to the whole group after trying to blindside Tai with Sarah’s advantage and after essentially outing Tai to the whole group, Cirie managed not only to have no votes cast for her (EVER), but to orchestrate a scenario in which she was in the majority with room to maneuver. Let’s say, for the sake of argument, Cirie’s plan worked and Sarah went home. At the final five, I thoroughly believe Cirie would have been the swing vote given Culpepper’s overwhelming feelings of betrayal from Tai, and the Tai-Aubry bond that would’ve done what it could’ve to see Culpepper and Troy broken up. Sure, Culpepper would win immunity again and again, but even at four, I think Cirie could have found a means to at least go to fire. Given where she was day one with no alliances to speak of… think about what this says about her as a player. Alas, production would not allow her god-like social game be enough to save her, my friends, and thusly, Cirie Fields was sent packing because “there’s literally no other choice.” Make no mistake, no matter how Probst might have sugar-coated it, Cirie’s exit is not legendary. It’s sad, tragic, and in a game that leaves so much up to chance so constantly, it somehow manages to still be unfair. So, to Cirie, easily one of the worthiest people to ever play the game, I tip my proverbial hat to you. Let your demise (and Malcolm’s) be a lesson for production, one that hopefully keeps such travesties from happening in the future, because like it or not, Survivor production, in the long run the Survivor faithful will not remember this season for Brad’s record-tying run or Sarah ruthless strategy as much as it will for a twist forcing a premature Merge situation that axed a real game changer far too early, a dethroned queen, a trans man being outed on national television, and a legend losing once more on a technicality. The short answer to my tagline is…no. I don’t think it did, and I don’t think it would in very many seasons. Once more, Pitman beat me to the punch by saying, had this format faced Michele, Aubry, & Tai in Kaoh Rong, Scot (and sort of Jason), would have likely dominated the conversation and given Michele the win anyway. Neal being removed from the Jury is really what hurt that final possible outcome, not the remaining people on the Jury (at least as much). For that matter, I don’t think this Jury format would’ve affected the outcome of many FTCs. The only ones that come to mind are those in which a vote came down to the wire and the “champion” for various players might have had more than one opportunity to speak. For instance, maybe, just maybe, Chase Rice could’ve beaten Fabio, but would that have made Nicaragua any better…? To me, no, it would’ve managed to have been worse. I think Coach might have had a slightly better chance against Sophie, and I think Parv v. Amanda might have even resulted in the first and only Survivor FTC tie. I’ll leave it at that, but I’m sure there are other examples throughout history (maybe Australia?). My point here, however, is not to muse about what could have been. All I mean to say is, in my personal opinion, this new Jury format doesn’t change the outcome of the game, it merely changes the Jury. Now, is this a good thing or a bad thing? To me, while I love a good speech—especially Penner’s in Philippines—or a really brutal question—think Trish in Cagayan—as much as the next person, I think this change is only for the better. This believe stems from the mere fact that we live in a Survivor-era in which melodrama is nearly as rampant as Probst’s unnecessary interjections and commentary. While sometimes real drama unfolds on Survivor—Zeke and Varner this season being a prime example of such—the show seems to be praising the almost-comedic, over-the-top reactions of people from everything from family visits (which continue to get sappier every season it seems) to the ever-enlarging emphasis on the Big Move. While, yes, both of these things can create genuine emotion in people, I personally feel as though CBS wants people to rev up the feels for the sake of higher ratings. As such, an open, genuine back and forth between the Jury and the contestants seems almost paradoxical for the show, but candid, honest, and helpful in the long-run. I’m willing to sacrifice big speeches to get a little order in the court house, so to speak. After reading Pitman’s post, I really got to thinking: what could have been done/done in the future to prevent another situation like the one which ripped Cirie from our television screens (but never our hearts)? Although I do see the immense merit in putting a usage-limit on idols found pre-Merge and doing away with the Legacy Advantage, let me pose two other possible solutions CBS might consider along with Pitman’s. Solution number one would be a short-term fix, a singular twist for one season. The idea is simple: zero hidden immunity idols. HII have become such a staple that simply not having them for a season might cause some paranoia people haven’t felt in sometime, especially if CBS does something like, I don’t know, hiding fake idols in place of real ones. Of course, the people who find such idols would know they’re fake thanks to a handy-dandy note attached to them, but think about someone in trouble saying, “Hey, keep me around and I swear that, if you let me survive the next vote, I’ll give you my idol,” and that move keeping them around. 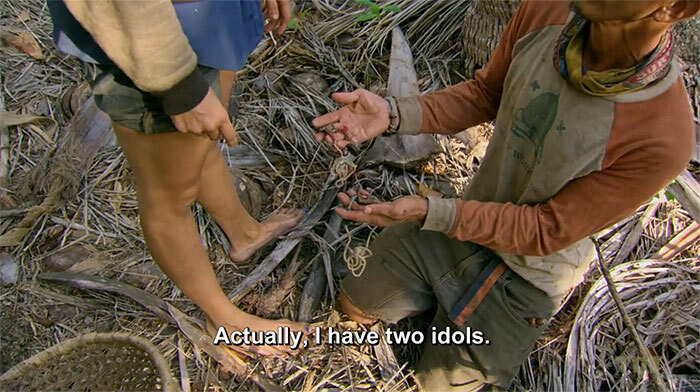 Not only do they knowingly give a fake idol to some poor sap, there’s no chance anyone could be Cirie’d! If solution one seems to gimmicky to you, which, dearest readers, is all too fair, then let’s try a more long-term solution. Each starting tribe has a hidden idol somewhere at camp (or at a challenge, if people would rather have it that way), and if the finder is voted out with it in their pocket, they will it to someone else, combining Legacy and normal HII. The only difference here is, as idols could be willed hence ostensibly promoting their longevity, no new idols would ever be re-planted. While the Legacy Advantage might have slain Cirie, so too did the replanting of a Mana idol, allowing Tai to find (and hoard) two. Unfortunately, I’m afraid, this idea might only work with two starting tribes, as with three tribes, someone could still get Cirie’d if all idols were still in play at the final five. have any other (and likely better) solutions! First, thank you to TDT and Jeff Pitman for allowing me to do this weekly post. It was my pleasure and privilege to write about a show that has brought me so much joy and entertainment for so long. I’d love to be back next season, assuming TDT and Jeff will have me, and while I’ll still be working in addition to applying for law school, I think I can always make a little time for Survivor and those as crazy about it as I am. Secondly, the shudder-worthily-named upcoming season (I won’t insult y’all by writing it just yet), seems… well let’s just say I’m skeptical. That being said, the last season I was this wary about, at least twist-wise, was Cagayan, and we all know how that turned out, so maybe this is a good omen. Maybe, however, generic stereotyped-players will play generic, lackluster games. Only time will tell. Thirdly, I know I said this at the beginning of the post, but I still can’t quite put into words why this season feels somewhat sour to me. I mean, regardless of how it happened, I got the winner I picked preseason to actually win. Shouldn’t that count for something? Alas, I’m happy to see this season go, and while there are a select few people I think I’d like to see again, I think this all-star season is better left overshadowed by the season that came before. 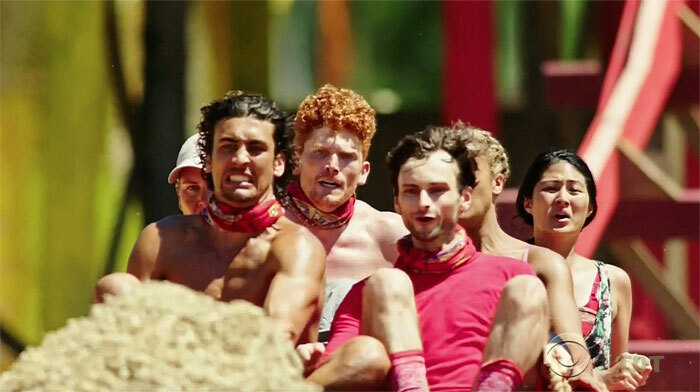 Call me ungrateful, but I would’ve taken Sarah as the first boot if the first six people booted could have been the final six people standing (and, yes, I would’ve even accepted Caleb making it that far). Hell, reverse the boot order with a final three of Ciera, Tony, and Caleb. For better or for worse, I want to see that season. And finally, to any and all who read any of my posts… my sincerest of thanks for wading through my ranting, fantasizing, and droning. I hope my posts provided at least a fraction of the fun I had writing them. Until the next, horribly named season.